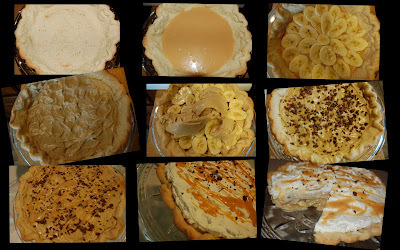 For my resolution breaking pie, I started with a no-fail pie crust, poured in a layer of caramel, added bananas, pastry cream, more bananas, more pastry cream, chopped milk chocolate, a drizzle of caramel, some whipped cream, and some more caramel and chocolate. Whew! With all those layers, I'm feeling guilty already. At least the bananas are healthy! And fortunately, this pie was shared with a crowd. It's all gone now and it's back to the treadmill. My husband and I have been talking about our goals for the year and I told him I was thinking about going vegetarian for a while. I think he'd die so we'll see. So speaking of your resolutions, what are yours? Less pie I'm guessing! Either way, I hope it's a safe and happy new year. Too turn this pie into a caramelly, decadent treat, make caramel using a can of sweetened consensed milk (I just opened mine and cooked it over a double boiler on low for a few hours, or try boiling the can at your own risk! 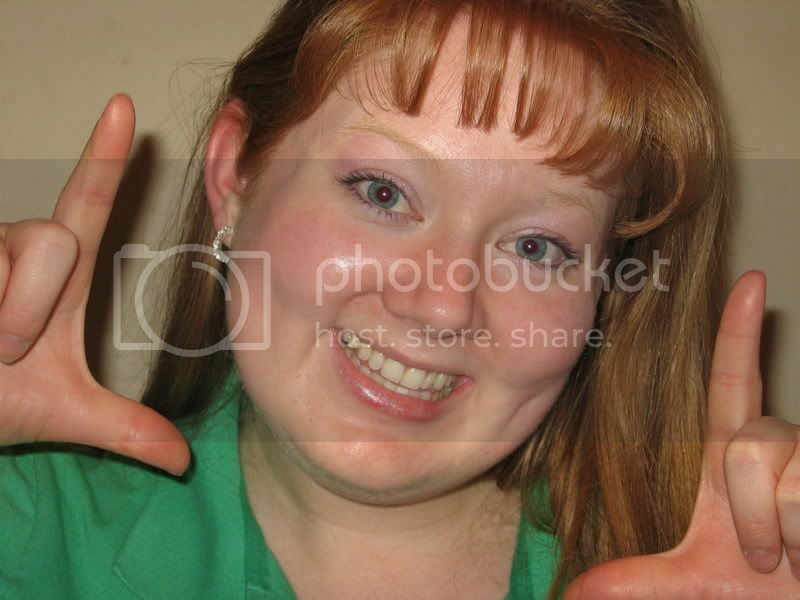 ), chop up a few ounces of chocolate, and top with sweetened whipped cream. Chocolate syrup would be the perfect addition, too! I'd break my resolution for that! Except it has bananas in it, so it must be good for me right? Oh my...That looks scrumptious! I wonder how it would taste if I used Dulce de Leche for the Caramel. 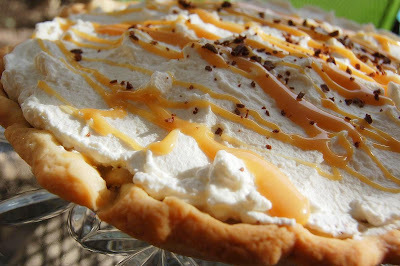 I am a sucker for banana cream pie anyways but add the caramel and chocolate...wow! I bet this tastes heavenly! Anne, that looks absolutely wonderful! Sorry I missed the deadline this month, I will play along with you next month! This looks so delicious! I think I would eat the whole thing right now if it was in front of me! Great job! Now that is a dangerous pie! All those layers of goodness can tempt me anytime. Sooo yummy! What resolution?! I want a slice of that! I love your "resolution breaking" comment. Your pie looks amazing as always.